Rezidence Palata is the work of leading Czech architect Jan Šesták from Studio pha. With the project, Real-Treuhand is continuing the extraordinarily successful co-operation with his architectural studio on the .142 RADLICKÁ project. The residence’s name reflects the history of the place, where the well-known DOLNÍ PALATA farmstead used to stand in days gone by. The original building, on the site of which the residence will be built, was called U MODRÉHO HROZNU (THE BLUE GRAPE) after a marking on the building. 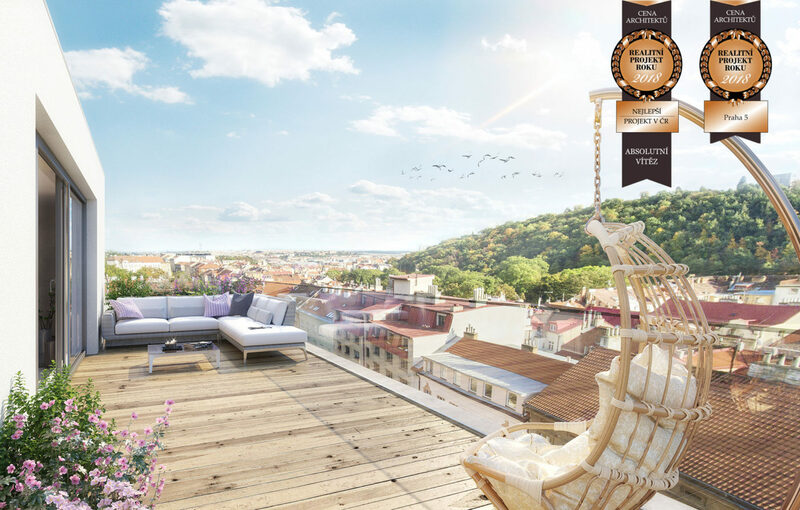 The PALATA project on Holečkova Street is set in a location under Strahov that is attractive in many ways and will provide peaceful housing near the Kinský Garden, close to the centre of Prague. It is a traditional residential area where there are well-established shops, services, transport links and all other infrastructure elements. The Anděl shopping and cultural centre is within easy reach.